Scientific research is designed to build knowledge and explore. Sometimes, that means changing previous ideas. In the US, we have a system that reviews and updates toxic chemicals. In 2017, benzo[a]pyrene (BaP) was updated. 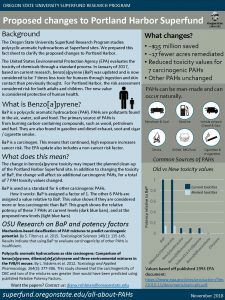 BaP is a polycyclic aromatic hydrocarbon (PAH) (https://superfund.oregonstate.edu/all-about-pahs). It is also a carcinogen. Exposure to a carcinogen may increase cancer risk. The review of BaP found it to be 7 times less toxic than previously thought. However, it is still a carcinogen. This change may impact Superfund sites that have PAHs as pollutants. Why? Because BaP is used as a standard of toxicity for 6 other carcinogenic PAHs. When the toxicity of BaP changes, it changes these other PAHs. This means that BaP and 6 other PAHs will be considered 7 times less carcinogenic. 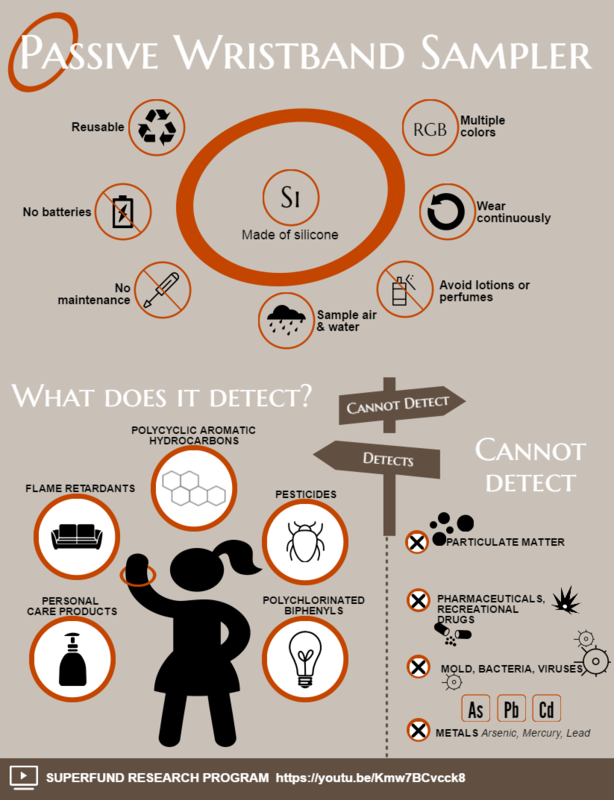 We developed a one-page infographic describing this change (https://superfund.oregonstate.edu/sites/superfund.oregonstate.edu/files/image-album/infographics/infographics_0.jpg). 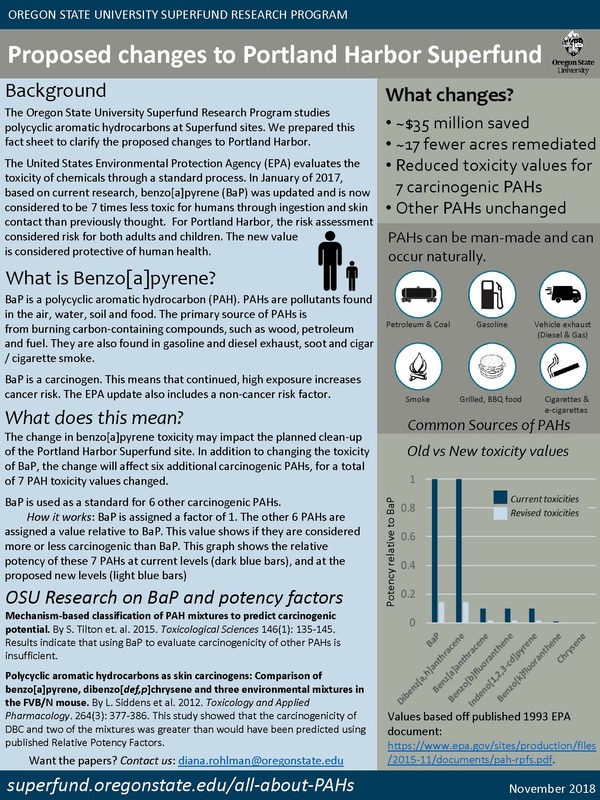 The Portland Harbor Superfund site has BaP and other PAHs. Only BaP and 6 PAHs will be affected by the change in toxicity. Other PAHs will not be changed. Following a disaster, we tend to be worried about finding food and shelter, reuniting with families and pets, and cleaning up the damage left behind. We don’t tend to think about toxic chemical exposures. With Hurricane Harvey, it’s a different story. Harvey flooded at least 13 Superfund sites flooded. Millions of pounds of hazardous chemicals were released. In addition, small explosions and chemical spills were reported. The New York Times created maps showing the magnitude of the disaster. 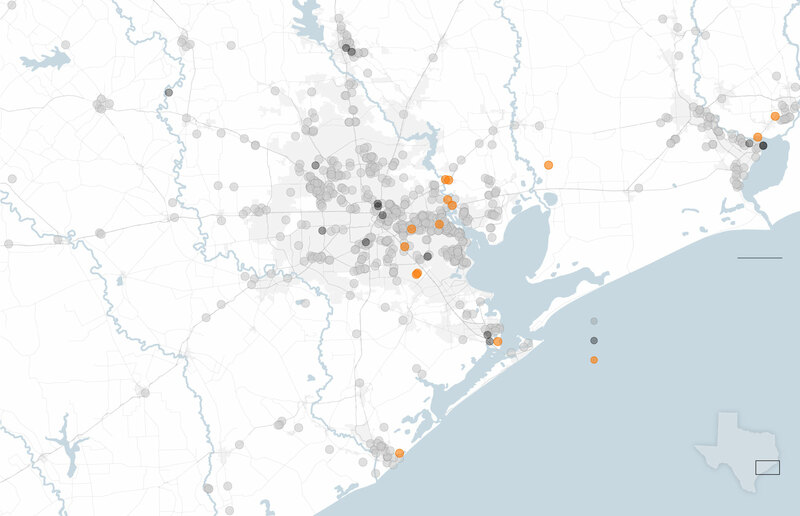 For example, this image from the New York Times shows flooded or damaged Superfund sites, in orange. Only days after Harvey, OSU SRP researchers partnered with Texas A&M, University of Texas – Houston, and Baylor College of Medicine. The goal of the partnership is to place personal samplers on individuals living in and near hurricane-damaged areas. The passive sampling wristband is the perfect tool. It doesn’t need batteries or the internet. Additionally, the wristband can detect over 1,500 different chemicals. 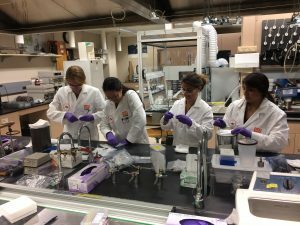 Oregon State University has been preparing for disaster research for several years. 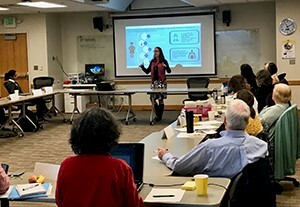 This year, Oregon State received their first ‘Disaster IRB.’ This allows Oregon State researchers to deploy quickly, with appropriate controls in place to ensure participants are safe and their information is confidential. SRP investigators Drs. Kim Anderson and Rohlman worked carefully with the Oregon State Institutional Review Board to develop this IRB. 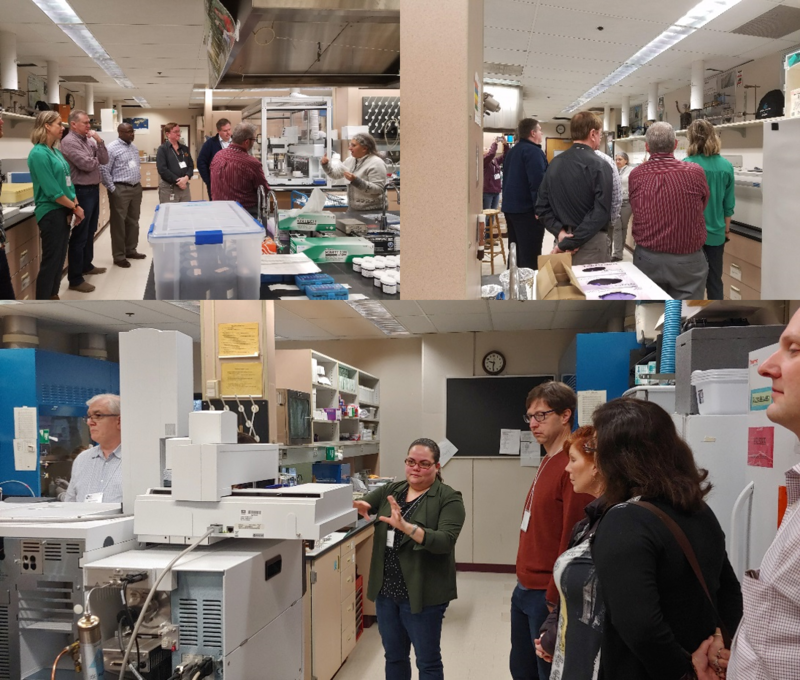 The Superfund Research Program is supporting this response effort. In the image below, SRP trainees are preparing wristbands for a September 20th deployment. We hope to enroll several hundred individuals. The results of this study will help us better understand the potentially toxic chemical exposures that could result following natural disasters.